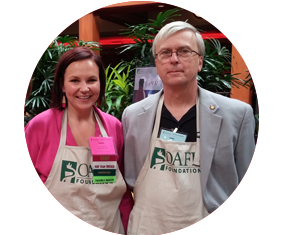 The Ohio Academy of Family Physicians established the OAFP Foundation in 1987 to meet its members’ philanthropic interests in ways that would directly impact health care delivery in Ohio. 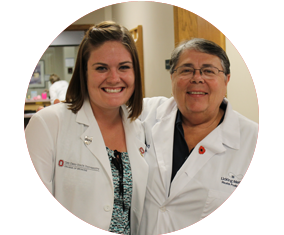 The Foundation is the only 501(c) (3) tax-exempt charitable organization in Ohio that exists to promote family medicine as a career choice to medical students and family medicine residents – building a strong family medicine workforce for Ohio. Family physicians provide comprehensive, continuing care to all members of the family, and high quality, cost effective care to patients of all ages and gender. A strong primary care based health system leads to better health and better care at a lower cost. 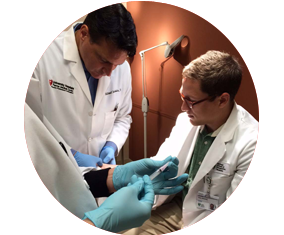 The mission of the Foundation is to cultivate student career choice in the specialty of family medicine. 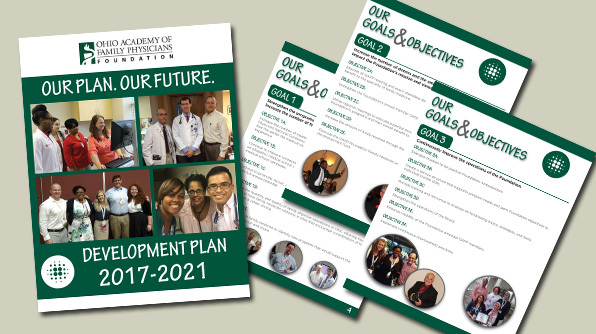 The Foundation’s strategic vision is to ensure a thriving family physician workforce for Ohio. The Foundation Board of Trustees completed a five-year development plan in the spring of 2017 that will direct the work of the Foundation through 2021. Within the 2017-21 Development Plan are three core areas of focus – operational goals, fundraising goals, and program goals. Goal 1: Strengthen the programs supported by the Foundation to more effectively increase the number of family physicians in the pipeline for Ohio. Goal 2: Increase the number of donors and the amount donated each year to positively impact the Foundation’s mission and vision. Goal 3: Continuously improve the operations of the Foundation. 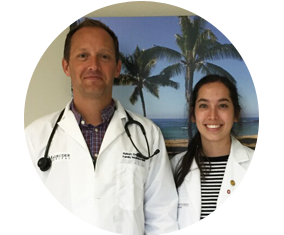 Foundation programs have benefited thousands of Ohio medical students and residents through educational grants, preceptorship stipends, and scholarships. For a successful plan and growth moving forward, we need you. Click through the Foundation’s pages to learn more about who we are, what we do, and what you can do to help cultivate future family physicians. If you have questions about the Foundation, please contact Director of Events and Foundation Programs Kaitlin McGuffie or call 800.742.7327.